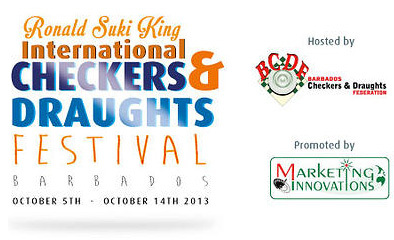 Competitions are held for the purpose of draughts-64 in the world. Direct holding of competitions shall Main judiciary board approved by the Section-64. 3. Place and date of. competition at all stages of the World Cup. Competitions are held in accordance with the Official Rules of Section-64. The system and time control is set at every stage of the judging panel according to the number of participants and their qualifications. Norms of international titles are set in competitions in accordance with the rules of the FMJD. Place in the competition at each stage are determined by the highest total of points scored by the participants. For the victory is given – 2 points for a draw – one for loss – 0. In the case when the points from two or more participants are equal places of participants are defined according to the criteria of the corresponding system of the competition. 7. Overall World Cup standings. 3 best results shown in stages go into the overall World Cup standings. 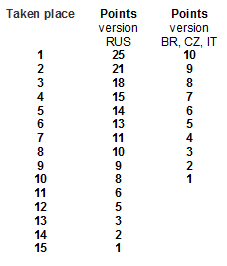 Participants in addition to the points for the top 3 stages shown in Russian version, get bonus points for participation in each program on the Brazilian, Czech, Italian version (in the table). 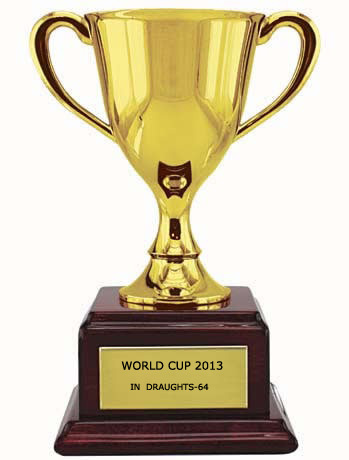 World Cup winner is given the title of “Winner of the World Cup 2013 in draughts-64”. He was awarded the trophy, a medal and a diploma of Section-64. The participants, who came in second and third place in the World Cup will be awarded with medals and diplomas of Section-64. Participants are required to be present at closing ceremony, in case of violation of this paragraph they are deprive of official awards. The winner of the World Cup 2013 will be provided with accommodation and meals by the organizers at the European Championship in 2014, the entry fee he will pay in a single size. Prize-winners of the World Cup will have the opportunity to participate in the European Championship in 2014 with no entry fee. If representatives of another Confederation will win the other competition for them will be determined later. – The costs of the awards in the Overall World Cup (Cup, medals, awards, prize money) by Section-64.